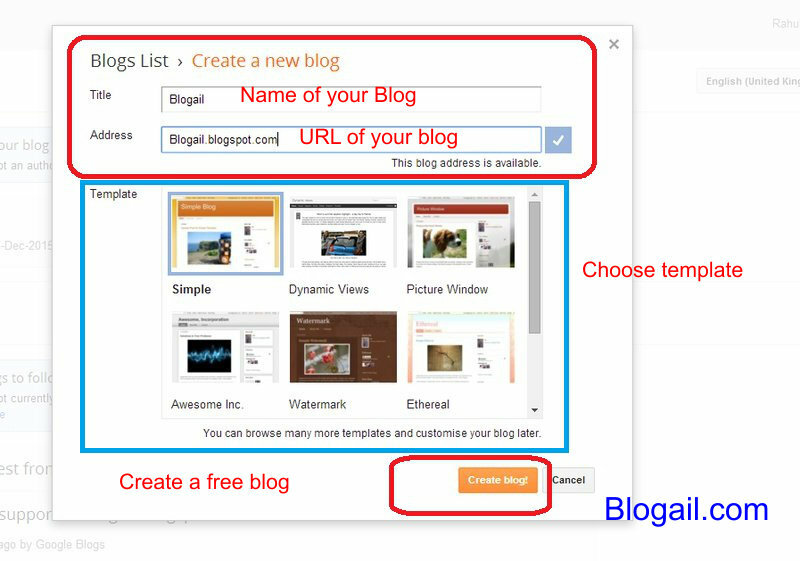 How to create a free blogspot Blog ? 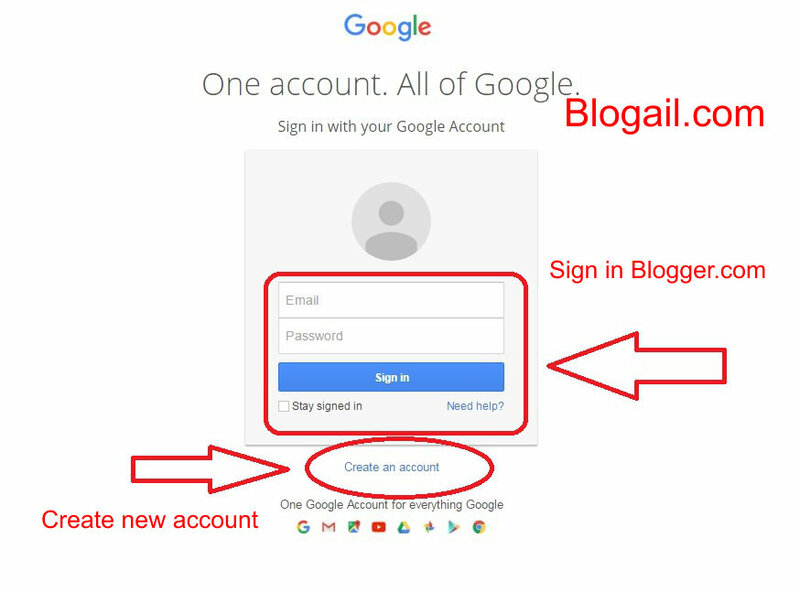 If you decided to create a free blogspot blog then head to www.Blogger.com and sign in with your Gmail account.If you do not have Gmail then create it for free here. Once you have signed in go to ” New Blog ” to create a free blog. 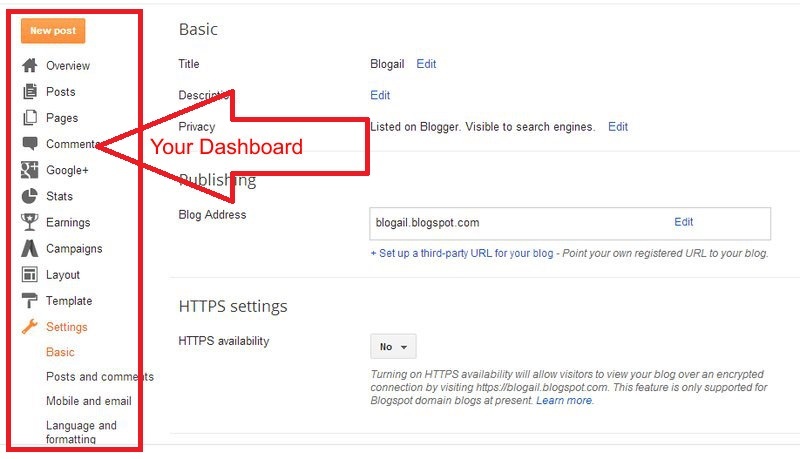 Clicking on ” New Blog ” will take you to new window displaying ” title ” and “Address”.You have to select name for your Blog title which is actually a name of your blog.You should choose domain that give an idea to reader about your blog.So have your Blog title as simple as reader can call a name of your blog easily. 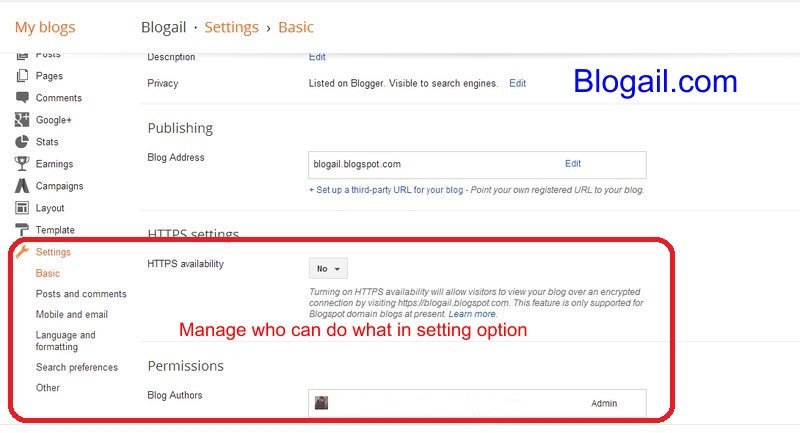 You have to choose a name for your ” Blog URL “.You can check that if entered URL for your Blog available or not by heading over to ” Check Availability “. You can choose template or theme for your blogs that match with your blog niche/Topic you are blogging about.You can change template any time when you feel need it to change.You can also upload custom template and give a cool look to your blog. 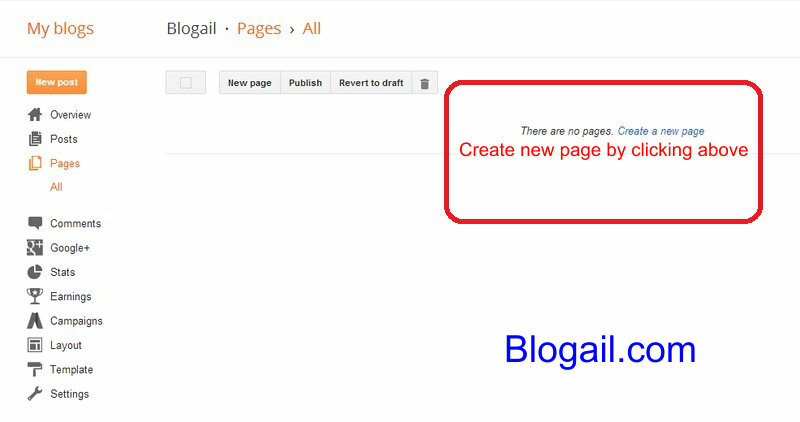 So finally you reached at place where blogger manage page , post and comment.If you can see Blogger Dashboard thats mean you walked half way.Now you can start blogging.But I said half way means you need to go further. 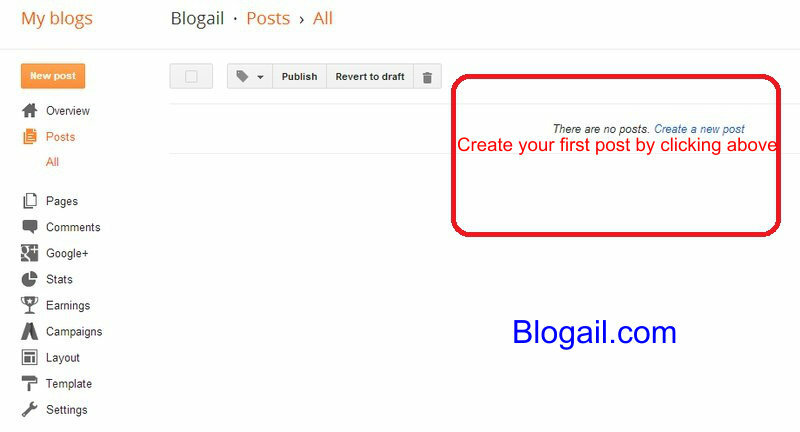 You can make your first blog post simply by clicking on ” Create New Post “. I guess you are at ” Compose ” text editor. Now You can write your first blog post in ” Compose ” text editor.If you want to change your color of text and font size then you can do it. See there many option above ” Compose ” text editor which help you making your post look good. You learned creating or making post.Now its time to create some page for instance About page for your blog.You need to create About page because there should be any place on your blog where readers can know about your blogs or about you (who is blogging). If later you want to change template then go to Setting and click on template.Now as you clicked on template option you can change or remove template and choose new templates from list of templates. Note : Whenever you upload custom templates for your blog make sure your are uploading responsive template. Whenever you are done creating page , making post and selecting template then You must check things such as who can do comment on your blog or who can view your blog.If you want to change anything then you can. There are so many functions in ” Setting ” option which you change according to your need. If you want any author to contribute to your blog then You can add new author by going on Setting => Basic => Blog Author => Add Author.You can manage who can view your blog or who can do comment by going on Setting => Post and Comment.You can hide comment box by heading to Setting => Post and Comment => Comment Location = > Select Hide. 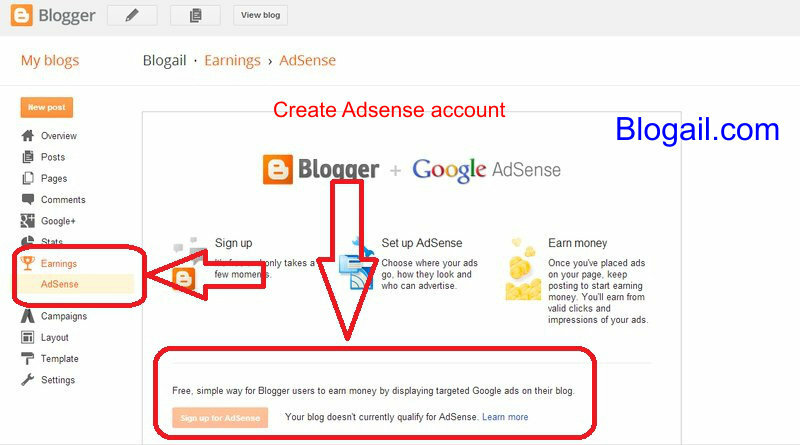 Once your blog is created and started getting enough traffic you can start earning from your blog.But to earn money you need an Google Adsense account.You can go to Earnings => Adsense => Sign up for Adsense for having Google Adsense account. i started to learn blogging through free blogspot blog from google and then migrated to wordpress. How to create blog in square space ?